Sup Ya'll? I'm Amber! I have Crohn's disease, and had a complete colectomy. 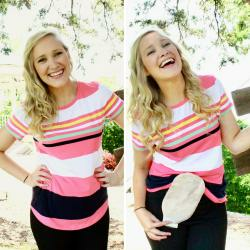 I now live life with an ostomy bag, and a HUGE SMILE. I desire to use humor and light heartedness to help educate and encourage other Ostomates. I want my YouTube channel, and other social media platforms to be a place where patients can not only learn, but be encouraged to live their life to the fullest. Life without a colon, and with a bag is pretty rad, and I like showing people that! I love Jesus, people, and queso dip.